Two bedroom apartments for rent in Odessa. 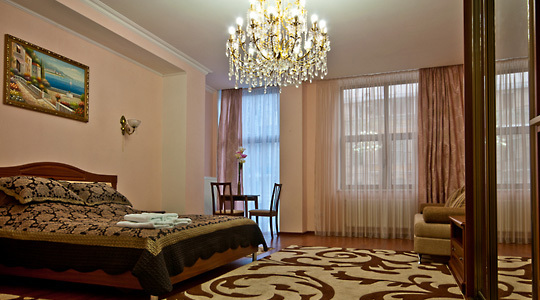 Find spacious two bedroom apartments in Odessa rentals directory. Nowadays, it is not very hard to rent apartment at any place in the world on-line. Most of us do not experience problems with that, and normally book accommodation within minutes. But the quality of your vacation in Odessa really depends on the right choise of housing. Our two bedroom apartments for rent are large enough to accommodate a big family or two separate families. Since almost all Odessa downtown buildings were built more than a hundred years ago and later remodelled for new purpuses, present apartments for rent are all different sizes from compact studio flats up to much larger than average, spaceous rental apartments. A dinning room in two bedroom rentals normally serves as recreation area, with the capacity to accommodate another tourist or a couple. It providies plenty of living space and has all consumer elecronics needed for a comfortable stay. Although, even a group of four tourists considering a price difference, location and amenities sometimes prefer one bedroom rentals instead. 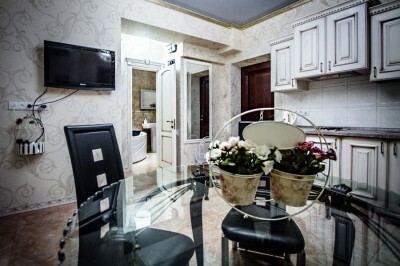 One of the key factors why people want to rent apartment in Odessa instead of a hotel, is – kitchen. They are clean and organized, fitted with all necessaties for cooking instead of eating out all the time. To find a secure parking lot in Odessa downtown is not always easy, while most of our rental apartments have parking available in the designated spot of the court yard. Rent apartment in Odessa with us whether it is high season or off peak, and enjoy our fascinating “South Palmira”! 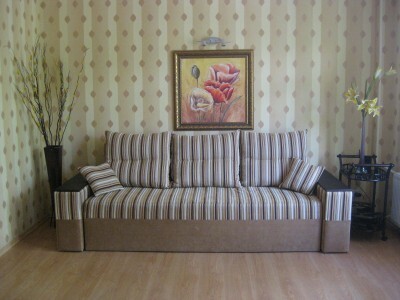 Luxurious three room/two bedroom apartment with unbeatable location close to Deribasovskaya and Black Sea! 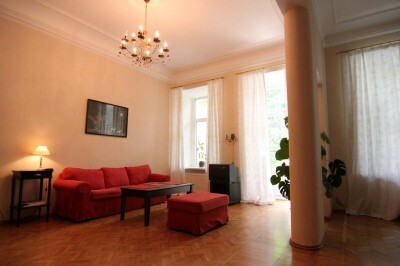 Spacious, luxurious two bedroom apartment next to Deribasovskaya and City Garden! Nice rental apartment with warm interior and stylish design in the quiet court yard of Odessa downtown. 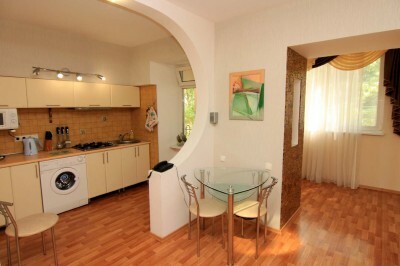 This rental accommodation will definitely meet big family requirements for holiday apartment! 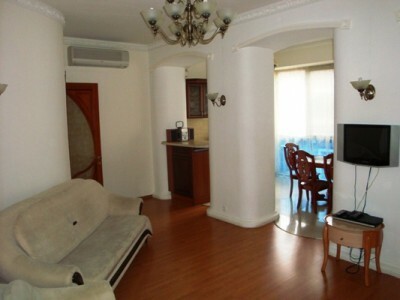 Leisure apartment with beautiful interier and central location. Magnificent roomy apartment for a big family or a groupe of friends. Bright, well organized two bedroom apartment with author design and useful, unique appliances! The capacity of the apartment is 6 guests, that makes it nice vacation flat for family or a company of friends. 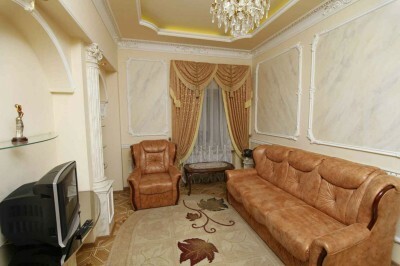 Palace style rental with fantastic view of Odessa Opera House. Exclusive DeLux apartment for discerning tourists! 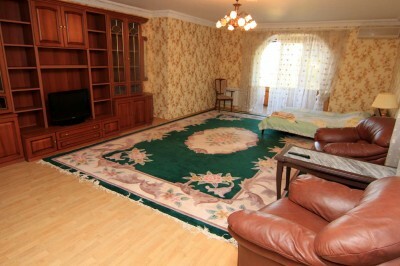 Two bedroom apartment in the center of Deribassovskaya. There is nothing more central than this one! Exuberant apartment with 2 separate bedrooms and roomy livingroom. Perfect central location and amazing sea view!